Real estate has many inspiring personalities. Through their sheer dedication and innovative ideas, they stand out in the crowd. While 2018 was not the best year for the industry, its leaders and keepers made sure that they remained in the headlines for all the right reasons mostly. 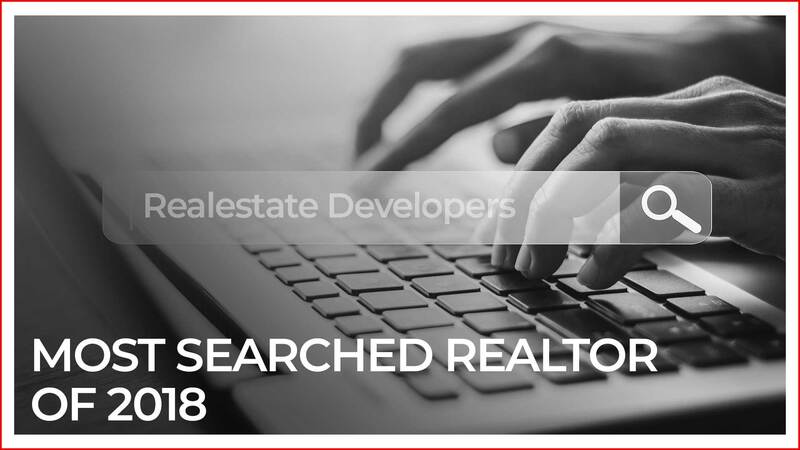 RealtyNXT brings to you the most searched real estate developer of last year (according to Google search volume – avg monthly volume for an entire year). He joined Godrej Group in 1963 when it was involved only in manufacturing locks, soaps, steel cupboards and refrigerators. Back then it enjoyed an annual turnover of Rs 10 crores. The visionary far sighting of Adi expanded the workings of the company and it then ventured into many businesses real estate being one of them. Today thanks to his brilliance, the company has annual revenue of Rs 36,500 crores. He was conferred a lifetime achievement award last year. And despite not being an active part in the day-to-day operations of the company, the 76-year-old tycoon is busy mentoring the 4th generation of his family to take the company to even newer heights. In an interview last year he had stated that there is a massive scope for growth in India not just for residential but also commercial real estate. His far sighted vision proved to be true with commercial real estate being the saving grace of the Indian realty market in 2018. Vikas is an alumnus of Harvard Business School and is a part of its India Advising Board. The 49-year-old real estate magnet started assisting his father Ranvir Oberoi when he was all of 15 years of age. His hard work and dedication converted the small construction firm into India’s second biggest real estate brand Oberoi Realty. He even owns the famous Oberoi Mall in Goregaon. The mall completed a decade last year. He was even in the news for building Mumbai’s maiden Ritz-Carlton hotel and residences in 2018. The approximate value of the company is Rs 17,000 crores. One of the rare builders who remained unscathed by liquidity crisis last year, the confidence he showed the bleak situation was testimony enough to the might he enjoys in the industry. His son Anand Piramal founded Piramal Realty and the 63-year-old mogul has played a big role in the shaping and success of the company. He serves on the Harvard Business School’s Board of Dean’s Advisors and is co-Chair of the UK-India CEO Forum. In 2018, KKR & Co and Blackstone Group expressed an interest in acquiring stake in Ajay’s finance conglomerate Shriram Group in a deal worth around $3 billion. The chairman and CEO of real estate developer DLF Limited is a shining example of how dedication in whatever one does leads to big success. He has time and again proved his mettle in the industry. The company was founded by Kushal’s father-in-law Chaudhary Raghvendra Singh in 1946. It is currently the largest commercial real estate developer in the country thanks to Kushal’s innovative ideas and passion. He built DLF City in Gurugram when no one else thought that location worthy of anything. He was awarded the Padma Bhushan award in 2010. From an accounting teacher to a global real estate giant, the co-founder and MD of Hiranandani Group is a force to reckon with in the industry. In 2017, he was elected as the new president of the National Real Estate Development Council (NAREDCO) by the association. In 2018, he was chosen as the Senior Vice President of industry chamber Assocham. His company also announced its foray into developing industrial and logistics parks across the country. Also in the news was the fact that he plans to invest an amount of Rs 25 billion in warehouses as well as his company’s entry into the co-working space. His net worth is approximately Rs 7,880 crore and he was on the sixth position of the Hurun real estate rich list of 2018.